The rise of mono-cultural religious groups in Australia. RICE Rally, an annual Christian event targeted at Asian-Australian young people, is part of a trend towards mono-cultural spirituality. There were only two major Chinese churches in Sydney during the 1960s—the Chinese Presbyterian Church and the Chinese Christian Church. The first ethnic Korean church opened in 1974. Around the same time, in small but increasing numbers, Vietnamese, Indian, Filipino, and Japanese congregations began to emerge. Now, the reach of Asian Australian Christianity is extensive, with what was once a sprinkling of mono-cultural churches spreading to become a fixture of most Sydney suburbs. Perhaps the most intriguing aspect of mono-cultural religious communities is the strong presence of young second and third-generation Asian Australians. Often, they are the ones most active in this space. Youth initiatives such as Student Outreach to the World (SOW) and the Renewal & Inter-Church Evangelism Movement (RICE) are well-established in these communities. SOW, a ministry targeted towards university students over four campuses (USyd, UTS, Macquarie, and UNSW), runs a weekly bible study event called Uchap, or University Chapel. RICE is well-known for its eponymous RICE Rally, where thousands of young Christians come to enjoy a night of song, dance and conversation. Both attract a membership of mostly Asian Australian adolescents and young adults. But why? If you’re born and raised here, well-versed in Bunnings sausage sizzles and cracking open a cold one, what drives you to identify with a non-Anglo religious community—a mono-cultural community that, by definition, sets itself apart? And isn’t one of the core teachings of the gospel that believers should spread the word to every nation, tribe, people and language? I have been a stubborn atheist for most of my adolescent and adult life, and have only recently begun critically questioning my beliefs. When talking to my Christian friends and family, I noticed a strange trend: cultural and religious identity are very much conflated. I had a friend confide in me that he only went to church because of the deep friendships and cultural connections he had forged within the Asian Australian community—a demographic that he had previously not had much exposure to. He confessed that he often had doubts about the validity of his faith. Like my friend, many of the religious people I know go to mono-ethnic or mono-cultural churches, often because they identify with the cultural or ethnic background of that church. Cultural values and belief end up inextricably connected. And the more I interrogate my own faith (or lack thereof), the more I also interrogate aspects of my cultural identity. In Australia, the archetypal Christian has long been the white, suburban Churchgoer—two kids, probably Protestant, latterly Catholic. But increasingly, the religious are found not in the suburbs of white Australia but in immigrant communities. For some, it’s a scary prospect, and there are bound to be voices of opposition seeking to discredit Asian Australian religiosity. Wherever there are large, cohesive groupings of people of colour, the tenor of white Australia seems to change from that of acceptance to fear of racial usurpation. The main argument is that mono-cultural churches are insular and exclusive. They detract from Australia’s multicultural mission, instead preventing their members from assimilating into Anglo society. Fair enough, the word ‘mono-cultural’ doesn’t exactly conjure harmonious stock photos of multiracial groups lunching on the USyd Law Lawns. But for many Asian immigrants, the architecture of white, dominant institutions does not make assimilation easy. So what happens when Asian Australians do venture into a ‘multicultural’ church? What happens if they lack the support of culturally resonant spirituality? Given their role as cultural support networks, it’s no surprise that monocultural religious groups exist outside church: they’re often semi-social groups too, providing members with a sense of identity beyond the sermon and spiritual. On campus, the Asian-Australian Christian Evangelical Students (ACES) is a ‘faculty’ or subset of the Sydney University Evangelical Union. On its website, ACES says it aims to “faithfully present and encourage Asian-Australian students with the Christian gospel, and enable them to mature in their faith and love for the Lord Jesus Christ.” ACES stresses openness and diversity, marketing itself as “culture-based” rather than ethnicity-based. It’s unclear, however, whether non-Asian Australian identifying Christians can join. Oliver*, a member of ACES, argues that multiculturalism is embedded deep in the Christian message, but in a form that recognises the roles of individual cultural identities. “Multicultural societies like Australia are not a homogenous group, so individual cultures still exist. It’s not as if you stop practising your own culture,” he notes. “Of course, transcending difference should be the end goal. We should be able to relate well with and do life with other cultures.” In theory, preserving and respecting one’s cultural heritage, and upholding the universality of Christ’s message should not collide. But that argument is flawed. When taken at its best, removed from racist rhetoric and hate, this argument relies on the multicultural ideal. That ideal requires that diversity should be interactive: society should open its institutions to all, with each cultural grouping bringing their worldview. Targeted evangelism in the form of Asian Australian churches runs counter to that ideal. 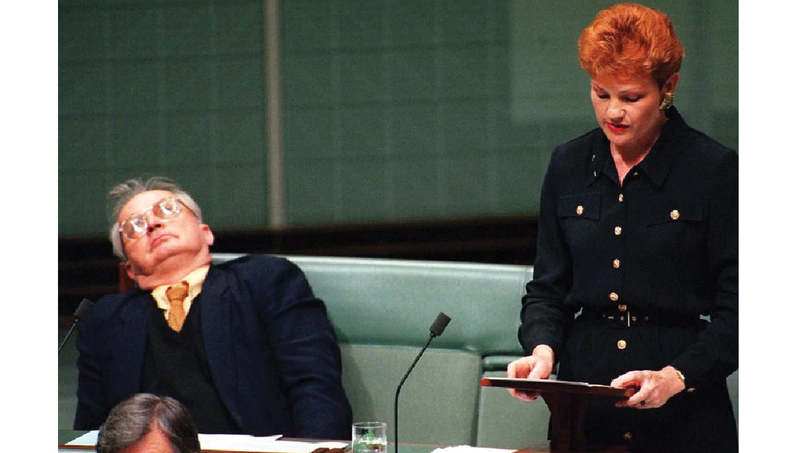 But the ideal itself, at least in Australia, is just that—a fiction. Far from involving migrant groups in a project of uncritical cultural osmosis, our society upholds the racism of White Australia. Our media and politicians treat Asians as as a homogenous threat. The language of immigration is martial—immigrants are an invading ‘force’, we need to ‘protect’ our borders. Tragically, it’s not just rhetorical: Australia’s illegal immigration policy embraces the concentration camp, and the ‘war on terror’ involves the violent policing of Muslim communities. Other non-white minorities, such as Indigenous Australians, tend to be ignored all together. In this context, the concept of ‘multiculturalism’ no longer serves its purpose: instead of celebrating minority groups, it is often weaponised against them, allowing racist agendas to be pursued as though part of a reasoned, acceptable discourse. So when mainstream politicians criticise migrants for ‘ghettoising’ or panic over the ‘rise’ of sharia law, their touchstone is multiculturalism: cultural openness is necessarily good and those who close themselves off should be blamed. For liberals, multiculturalism is often accepted uncritically. After all, if you’re against multiculturalism, you’re a racist right? There is scant time to think about why migrants might need to put up barriers—how their own sense of self can stand to benefit. In fact, the true intention of multiculturalism may be better served by cultural enclaves such as the church. Mono-cultural communities give people of colour a sense of solidarity and pride. They are safe spaces in which migrants and their children in particular can develop their identity, tempered by but resistant to the pressures of dominant racism. From these safe spaces, migrant communities can later reach out, and gradually reveal that non-dominant perspectives have existed all along. The existence of mono-cultural communities are crucial in challenging the normalised, Anglo-centric narrative. On a personal level, the safety these ‘cultural bubbles’ provide is deeply meaningful. Many Asian Australians find respite in the mono-culture of their churches, where their bodies and faces are no longer thought of as different. For some, it can be a space of hiding, when engaging with hostile dialogue become too confronting. It doesn’t need to be said that self-confidence can grow in a community where everyone shares similar experiences, difficulties, and challenges—where your beliefs aren’t challenged. Esther Shim, a USyd student who used to attend a Korean community church, notes a problematic side to this environment. There’s a tendency, she argues, for monocultural churches to promote certain cultural values through the vehicle of religion. “Some of my frustration for my old church came from the fact that Christianity and Korean culture became deeply intertwined,” she says. “I think the general cultural conservatism of traditional Korean values definitely have a role to play in the conservatism we see in mono-cultural churches.” This sentiment is echoed by individuals who do not fit the ‘good Asian Christian’ mould—particularly those who are queer, sexually active, or critical of some of its teachings. On the other hand, every space has its own problematic narratives and power structures, and the dynamics of race are likely to be just as oppressive as church traditionalism. And for many young second generation migrants, the sense of self and cultural connection that church provides is an important bulwark against racist society. It’s by providing a shared, intergenerational sense of identity that monocultural churches can play this role. Rachel Kim, a Korean American who served for a year as a missionary in Australia, emphasises how cultural and language barriers exist not only between the Korean American diaspora and the rest of the US, but within the Korean community as well. “There were definitely cultural misunderstandings between my parents and I, but in a religious setting, we finally had this unspoken common background,” she notes. Having attended a high school where Asians were a racial minority, Kim explained the cultural anguish of the second generation migrant—an outsider in their country of birth, yet unable to fully connect with their ancestral roots. “There was a deep-down shame that I felt came along with not knowing about Korean-Americans,” she says. Like many Asian Americans, the church community provided a sense of mutual trust and friendship that brought Kim towards sense of what it means to be Korean-American. Shim also identifies with the positive impact mono-cultural communities have on cultural identity. While she was growing up, her family opened their home to Korean migrants who were struggling to adjust to life in Sydney, especially young students on working visas. “I think that mono-cultural churches are really effective in providing a sense of purpose, belonging and community for different cultural groups within Sydney,” she says. But underneath it all, is the mono-cultural church really just an expression of the desire for connection? Is faith a distant second, or in fact artificial—a convenient focal point for a sense of community? For many Christians, religion and people are interconnected. The community is a product of their faith, and the desire to engage with people of the same worldview is just another way to serve the Lord. Over time, mono-cultural churches have acquired a function that goes beyond just nurturing faith. They have become sites of cultural solidarity for those unable to engage in the Anglo-centric discourse of modern Australia. Sermons delivered in languages other than English offer spiritual and linguistic familiarity. They provide a forum where culture-specific issues, not just those limited to religion, can be addressed. These churches have morphed into a safe haven for those grappling with the cultural and personal identity crises which face many people of colour. In the New Testament, 49 days after Christ ascended to heaven, the Holy Spirit entered into his apostles, bringing them redemption and inspiring them with the unifying love of God. 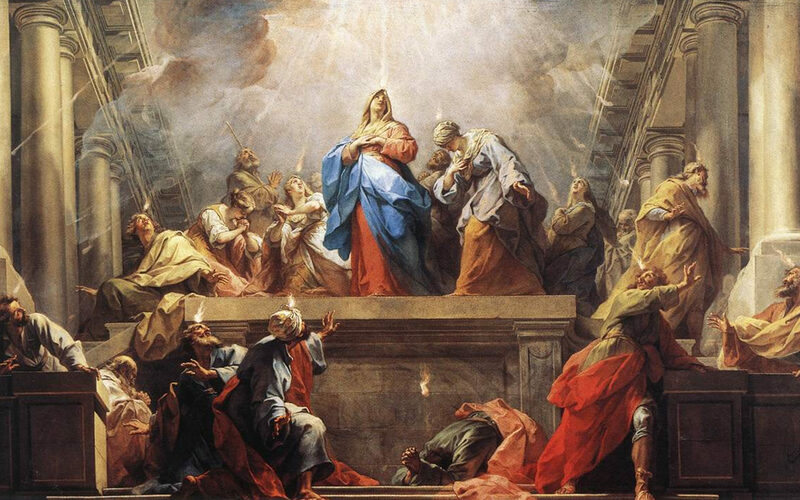 This day is known as the Pentecost. It is sometimes interpreted as a reversal of Babel, the Old Testament story where God confounds humanity with multiple languages, scattering them over the face of the earth. Babel stands for division and is bad, so the interpretation goes; Pentecost stands for unity and is good. But what if Babel wasn’t a punishment? What if Pentecost was the moment where we embraced human diversity? Dismantling the dominance of one, universal language and allowing difference to flourish, even if in utter confusion, is to be celebrated. Like the inspired apostles, each talking in a different tongue, united in a shared division. Mono-cultural churches may confuse cross-cultural dialogue. Equally, it caters for the unique needs of immigrant communities. They allow those groups to find their identity and engage from a place of confidence with the grand multicultural project. Ultimately, they are a glorious, messy example of human diversity. And for this questioning atheist, I have my hopes that a modern-day Pentecost may be on the horizon.